Does fatigue drag you down day after day? Do you have brain fog, weight gain, chills, or hair loss? Or is the opposite true for you: Are you often revved up, sweaty, or anxious? Your thyroid gland could be to blame. This great regulator of body and mind sometimes goes haywire, particularly in women. Getting the right treatment is critical to feel your best and avoid serious health problems. The thyroid is a butterfly-shaped gland in the front of the neck. It produces hormones that control the speed of your metabolism — the system that helps the body use energy. Thyroid disorders can slow down or rev up your metabolism by disrupting the production of thyroid hormones. When hormone levels become too low or too high, you may experience a wide range of symptoms. An unexplained change in weight is one of the most common signs of a thyroid disorder. Weight gain may signal low levels of thyroid hormones, a condition called hypothyroidism. In contrast, if the thyroid produces more hormones than the body needs, you may lose weight unexpectedly. This is known as hyperthyroidism. Hypothyroidism is far more common. A swelling or enlargement in the neck is a visible clue that something may be wrong with the thyroid. A goiter may occur with either hypothyroidism or hyperthyroidism. Sometimes swelling in the neck can result from thyroid cancer or nodules, lumps that grow inside the thyroid. It can also be due to a cause unrelated to the thyroid. Thyroid hormones affect nearly every organ in the body and can influence how quickly the heart beats. People with hypothyroidism may notice their heart rate is slower than usual. Hyperthyroidism may cause the heart to speed up. It can also trigger increased blood pressure and the sensation of a pounding heart, known as heart palpitations. Thyroid disorders can have a noticeable impact on your energy level and mood. Hypothyroidism tends to make people feel tired, sluggish, and depressed. Hyperthyroidism can cause anxiety, problems sleeping, restlessness, and irritability. Hair loss is another sign that your thyroid hormones may be out of balance. Both hypothyroidism and hyperthyroidism can cause hair to fall out. In most cases, the hair will grow back once the thyroid disorder is treated. Thyroid disorders can disrupt the ability to regulate body temperature. People with hypothyroidism may feel cold more often than usual. Hyperthyroidism tends to have the opposite effect, causing excessive sweating and an aversion to heat. Because thyroid disorders can cause changes in your menstrual cycle and mood, the symptoms are sometimes mistaken for menopause. If a thyroid problem is suspected, a simple blood test can determine whether the true culprit is menopause or a thyroid disorder – or a combination of the two. Really sorry for all with a diagnoses of hypothyroidism. But it’s curable if you’re mentally strong enough to deal with its complication. This is by far the most helpful resource I’ve foiund so far.My sister has hypothyroidism and we are looking for as much information as we can find. Thank you for visiting, Whitney. I do hope your sister recovers soon. Actually I’m a hypothyroid sufferer too and one of the worst symptoms is anxiety. 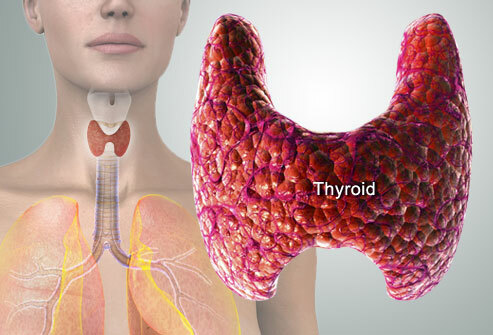 First, I find it hard to handle but when I tried thyroid supplements two weeks ago I can see the results. It boosts my energy and lessens my hypothyroid symptoms. Hi Jessica, thanks for dropping by. Glad you’ve found a remedy that helps.